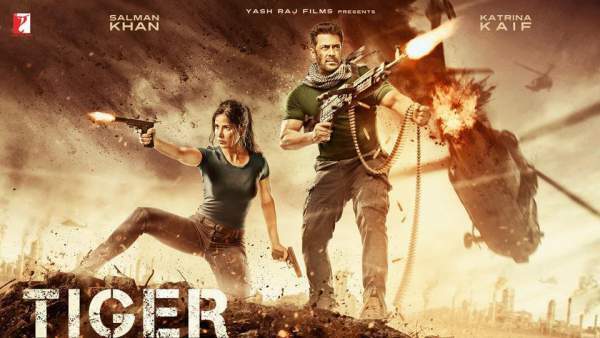 Tiger Zinda Hai 1st / 2nd Day Collection 2 Days TZH First Friday / Saturday Box Office Report: Salman Khan and Katrina Kaif starrer latest Bollywood movie TZH has hit the screens today. It is the sequel to the 2012 hit film Ek Tha Tiger. The Ali Abbas Zafar directorial has witnessed a thunderous opening at the box office. According to various reports, TZH has registered an occupancy of around 80% in the morning shows in India. Some of them have stated that the film has got houseful shows in certain multiplexes. The Yash Raj Films produced action thriller has received a groundbreaking advance booking. The booking started on December 17, five days prior to its release date. It turned out to be a good decision considering the huge fan following of both Salman and Katrina. It seemingly has got the biggest advance booking of 2017. Speaking of the screen count, TigerZindaHai has got 5700 screen worldwide while 4600 screens are just in India. Check out – TZH Movie review. According to trade analyst Akshaye Rathi, TZH is going to collect more than Rs. 35 crore on its opening Friday. He also stated that the film will easily cross the mark of Rs. 100 crore in the first weekend itself. The movie has been made on a budget of 150 cr including Salman‘s fee. So, in order to be declared a hit, it needs to earn at least Rs. 250 cr at the worldwide BO. The first day reviews have been good so far. The word of mouth publicity will play a huge game in its lifetime collections. Going by the trend, Tiger seems to have deafened everyone with its roar. Ek Tha Tiger had earned Rs. 32 cr on its opening day at the box office. Last time, Tiger and Zoya were seen fighting for their love. This time, they fought to save Indian nurses from a terrorist organization. Have you watched the film? What’s your review? Stay tuned to TheReporterTimes for more Bollywood news and TZH collection updates.